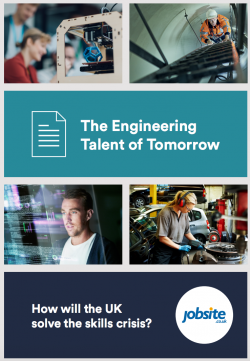 With an annual shortfall of at least 20,000 skilled workers, generating interest in engineering has been firmly on the agenda for some time now. A new report by recruitment website Jobsite shows this could finally be making a difference, as findings reveal as many as 50% of 16-18 year olds would consider a career in the this field. The industry is worth an estimated £456bn to the UK economy, but has notably struggled to attract talent. Soon this could be a problem of the past; perceptions are changing, as Jobsite research finds teens believe engineering is a cool (84%), creative (86%) career choice. Reasons stated for being attracted to an engineering career include the ability to solve challenging problems (57%), opportunity to build things (55%), career progression (42%) and salary (39%). This view is shared by current engineers who cite rewarding work, job security and varied workload as the best parts of the job. But, it’s not all good news. Despite 87% being aware of engineering as a career by age 18, a whopping 63% of teens surveyed were not aware of the qualifications needed to pursue it. Work experience provides some students a way to explore chosen career options, however 70% have not been presented with any opportunities for work experience in the sector. Jobsite CEO Nick Gold said- “Over the last decade, careers in tech have become aspirational. Now it’s time for engineering to revitalise its image and do the same. Through role models and high profile projects, Britain’s teens are finally seeing that STEM careers are a way to satisfy a range of needs and make a real difference in society.